Kenneth Meyer shared a post. Hey friends, helping to spread the word. If you're around, come check it out. 1 month 3 weeks ago. Kenneth Meyer updated their profile picture. 1 year 2 months ago. My good friend Jesse Jones has just released a new CD of his music with Innova Recordings and it is fantastic. If you dig new sounds I suggest you check it out. Jesse's music is stunningly beautiful and it is expertly interpreted on this wonderful new recording. Bravo Jesse, Sharon, Xak Bjerken, Argento Chamber Ensemble, Ensemble Recerche, Joseph Eller and Nicholas DiEugenio. It was an absolute honor to be included in this project (oh yeah, there is a piece for soprano, guitar and electronics on here...and it is awesome). Hope you like it. 1 year 7 months ago. It appears that the album reviewers are back from summer vacation. This one just in from Jazz Weekly. Thank you George Harris for taking the time to listen and writing the kind words regarding this..."sublime collection of guitar musings." 1 year 8 months ago. Thank you Blair Jackson and Classical Guitar Magazine for the recent review of my new solo CD Draw The Strings Tight. Read it here if you like... 1 year 8 months ago. 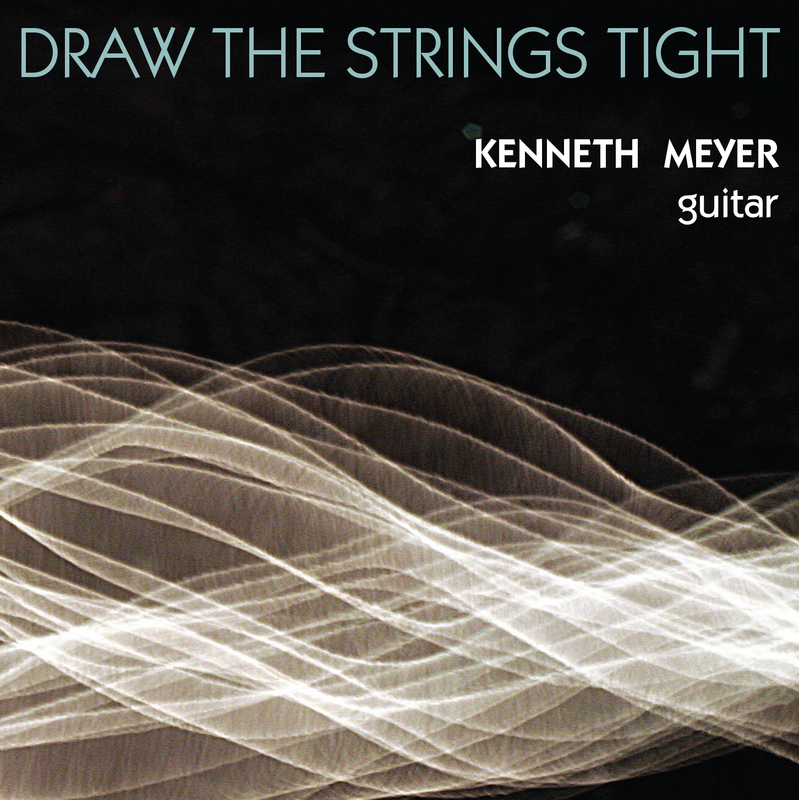 Draw the Strings Tight pulls together a range of new music composed for the acoustic guitar. It features premieres of newly commissioned musical discourses on love, reflections on the nature of memory, the search for truth in the many voices of reality, and meditations on sense and enjoyment. The album title is also an evocative phrase that reflects the challenges facing a composer, performer, instrument, and listener, as they work together to realize something of substance, meaning, beauty, and truth.